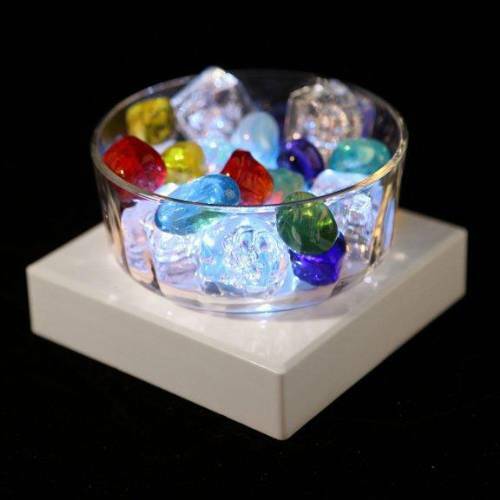 This SUPER powerful light base features 16 bright white LED's to illuminate just about any glass or acrylic show piece. 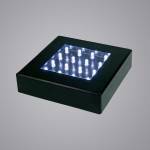 Specifically designed for displaying square items, it also fits the bill for any shape. Not the artsy type? 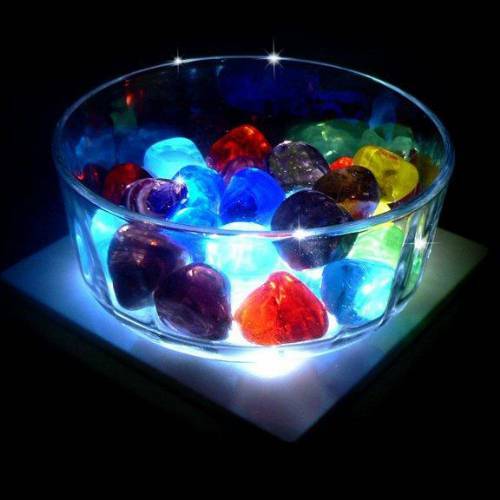 This light base is also great for highlighting your entertaining table. 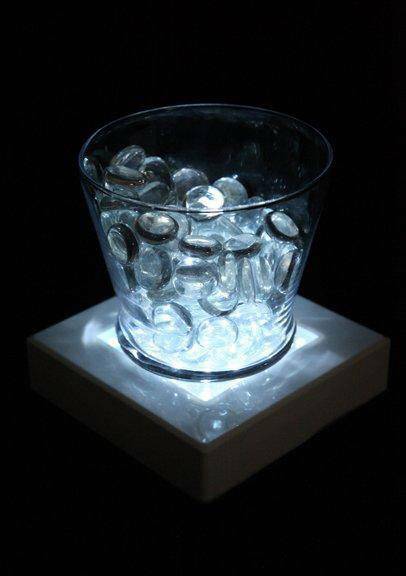 Perfect for under a floral arrangement in a glass vase, or a glass bowl filled with ice at your party bar! 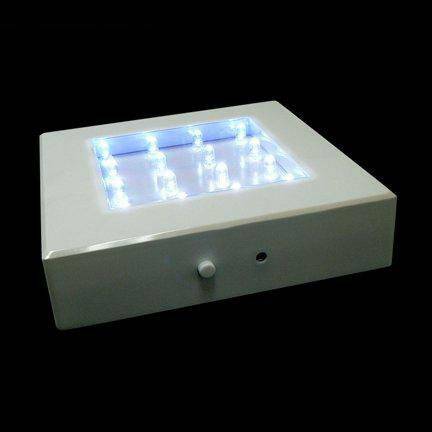 Base measures 5" x 5" x 1.25 high, and lighted area is 3" square. 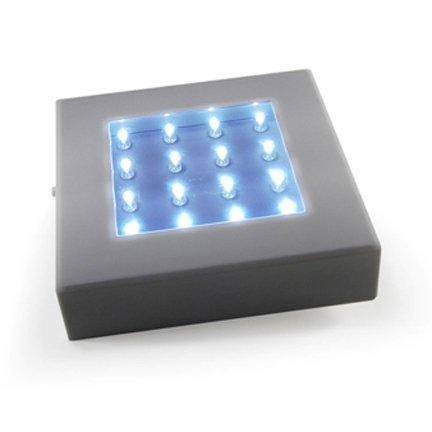 Light base is constructed of high quality plastic and can easily support heavy objects. Runs on 4 AA batteries (not included). Can also be used with universal battery power pack (sold separately - click here), or an AC power plug for electric power (sold separately - click here). Features a picture frame hanging hole for creative wall applications. Simple on/off switch. Perfect for displaying your favorite bottle of Cognac! !